I have 100 hexagons all set to go for a future project. 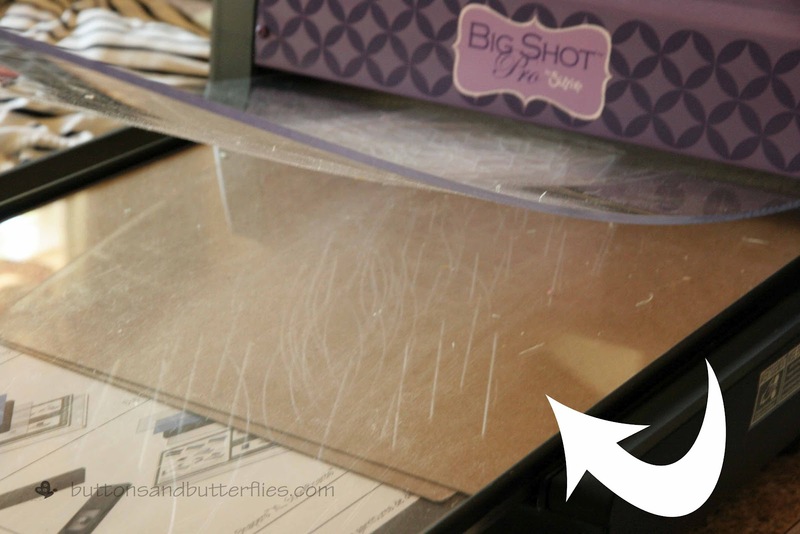 The Accuquilt die cut pad works in my Sizzix Big Shot Pro (Westminster) Die Cut Machine!!! The Accuquilt die cut pads are a smidgen thinner than my Sizzix pads. Just a few cardboard shims under the bottom cutting pad. Worked like a charm! And for those who debate between the two die cut machines? The reasoning I went with Sizzix is that I already had the original diecut machine and a significant investment in smaller diecuts. 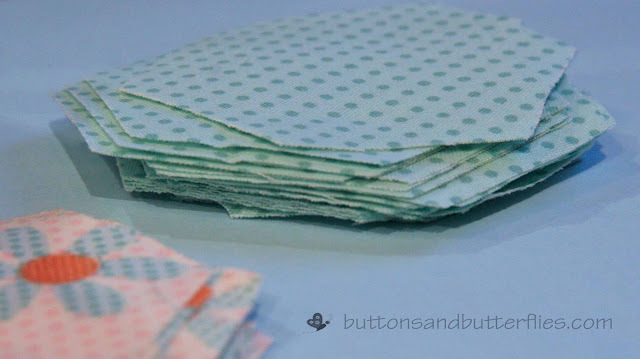 I also did some research and had discovered that the Accuquilt die cuts can be used in the Sizzix machines, but the Sizzix cannot be used in the Accuquilt. However, I DO NOT think you could go wrong with either the Accuquilt Go! or Accuquilt Studio Fabric cutters. I just have never used them! And for what it is worth? 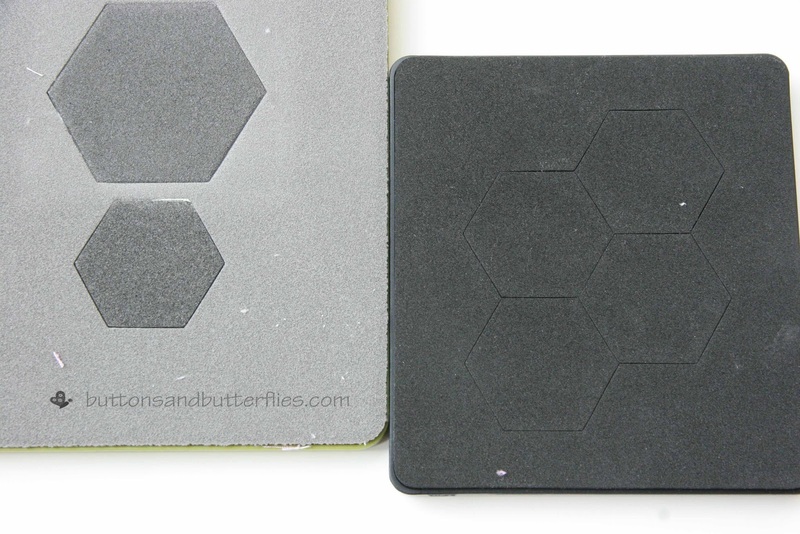 I do have a Sizzix die cut for hexagons, but the 2 inch one that I already had is actually 2 inches DIAMETER, not 2 inches on the sides like I wanted. 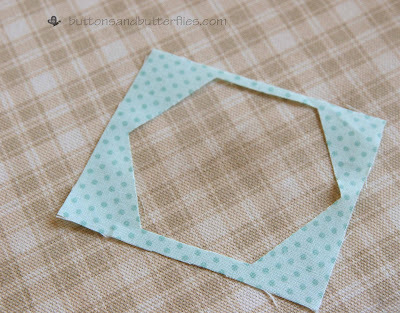 I actually do look forward to using the Sizzix pad because I can cut four hexis in one swoop! I cannot express how much easier the die cuts make this process go! 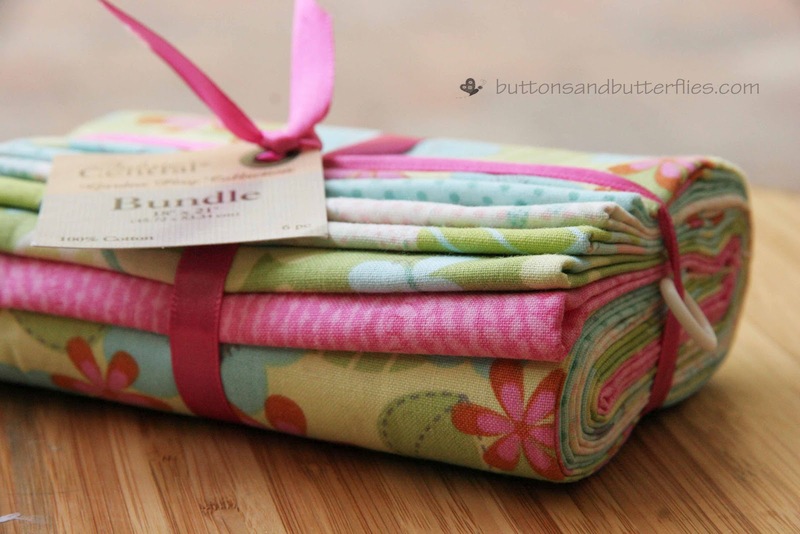 After I had pre-cut this fabric bundle with my die cut machine? 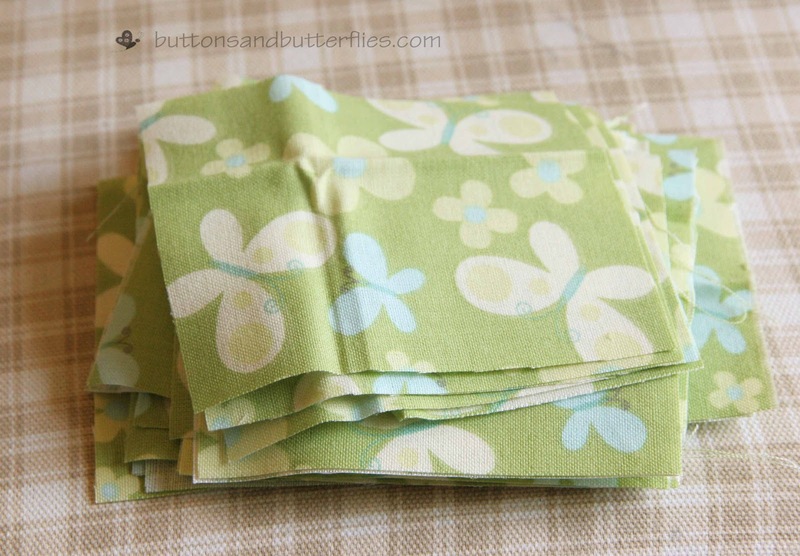 I just simply cut my fat quarters into 3 inch strips and then rectangles measuring 3 x 3.5 inches. Pressed out the creases, sometimes before I cut them into strips/rectangles. Sometimes after, because I was a bit over-excited about this project. I promise I pressed those rectangles...I was just taking a picture while I remembered! The amazing thing is the small amount of waste. 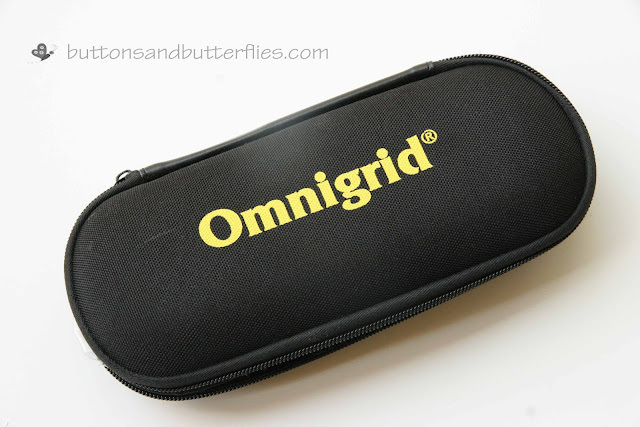 I bought this cute little omnigrid travel case (pre-die cut purchase) for rotary cutters thinking I might need it when I wanted more hexagons cut when we were on our trip. 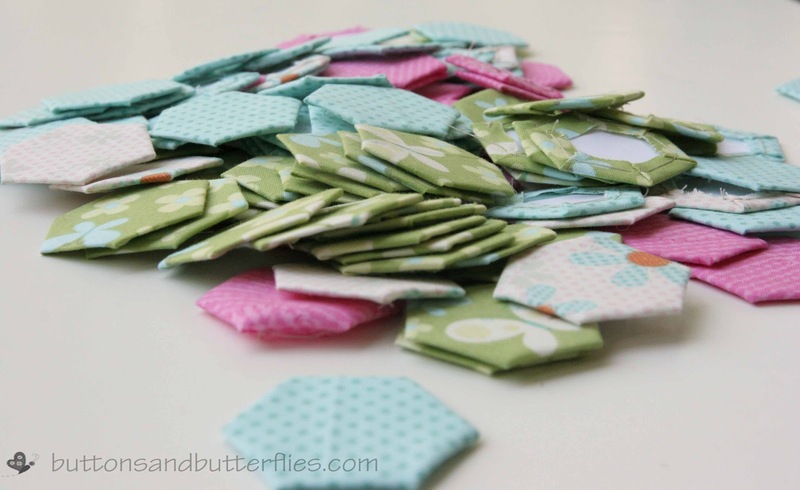 But I had 200+ hexagons pre-cut in less than 20 minutes!! 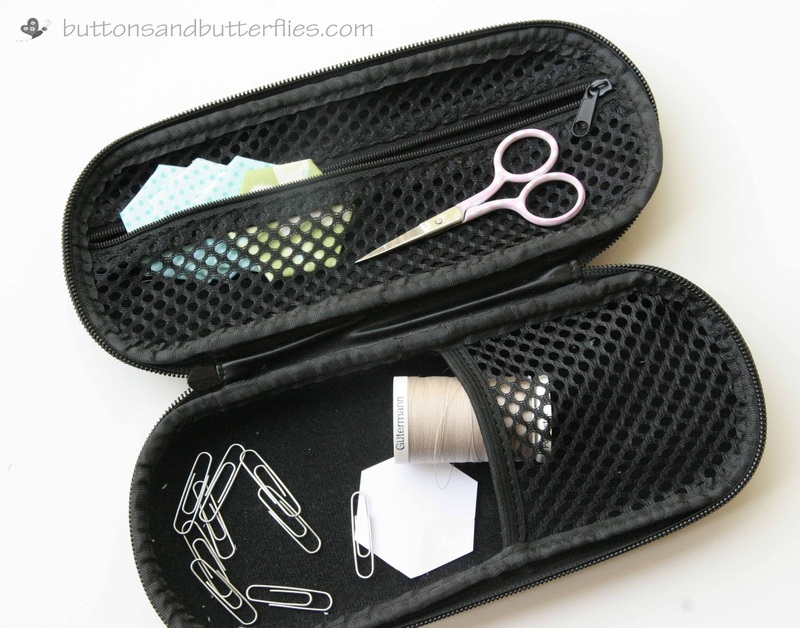 I only had 100 hexagon templates cut, so I left the rotary cutters behind and the little case was perfect to hold my scissors, thread, needle, paperclips, templates, and I could tuck the finished hexis as I went along. It is the perfect size for a lap, I promise!! I had finished the last 50 hexagons on our 3 hour trip back to make the total of 100. I had packed everything carefully back in my bag. I was excited to make such progress! Not to mention the fact that we sat and stared at pictures of the boys on Mr. Boss's iPad on the flight home...we missed our boys so much! I was distracted and didn't double check my seat to see if anything had been left behind (we ALWAYS double check). Then, we were practically RUNNING to the baggage claim area in hopes we could get home faster! As I climbed in the car, I had one of those moments. You know what I am talking about, right? I realized I had left the baggie of all the remaining pre-cut hexagons (about 100) on the plane!!!! I lamented, not so much that they were lost...but more in the fact that an airline worker probably threw them away when they were doing their sweep of the plane. 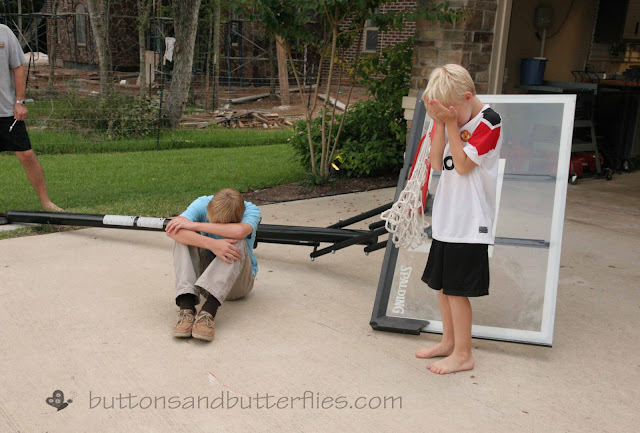 Photo from when Teen boy broke the post of the basketball hoop this summer, slam dunking...they are fake crying for my scrapbook! "I hope they weren't the baggie with all of your finished hexis? That would be tragic". He gets it! He REALLY gets it! "Maybe another quilter found it and knew what a treasure they were and will take them home with them to make a project". Have you ever left anything behind on a vacation or trip? 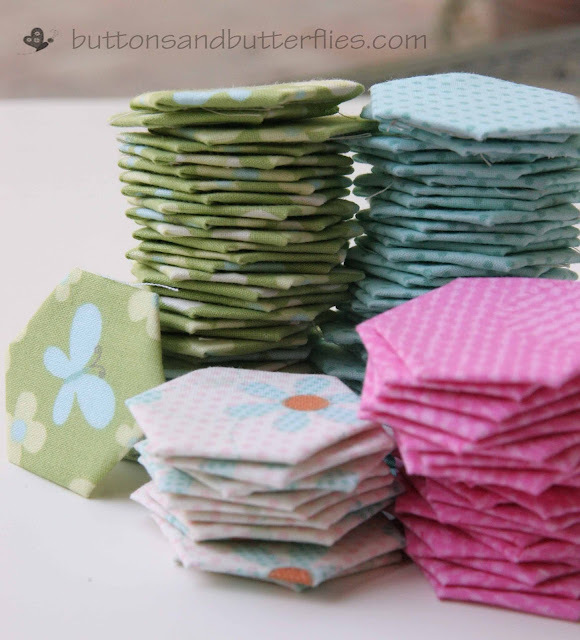 I cut 2.5" squares for my 1 inch hexies. It may add more bulk, but I am going with it. I traveled with my favourite pillow while pregnant once and left it in the hotel. The hotel promised to send me the pillow case (no pillow) but never did. I once had a nearly completed counted cross stitch project (pretty small one, but I was in college and had been working on it for ages) fall into my dorm trash accidentally. I didn't realize it until a couple of days later, I had to go on an extensive dumpster dive (which was NOT fun), but at least my trashcan had a liner so I was able to find my trash and recover my cross-stitch! I think I got super lucky. Oh yes...I had a gray sweater that I am forever trying to find a replacement for. I never figured out where it went! What a sweet husband you have! 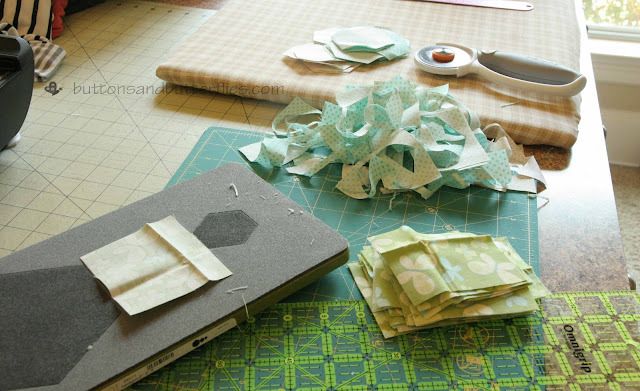 And great tip about the die cutters, I am still thinking about getting one of those.